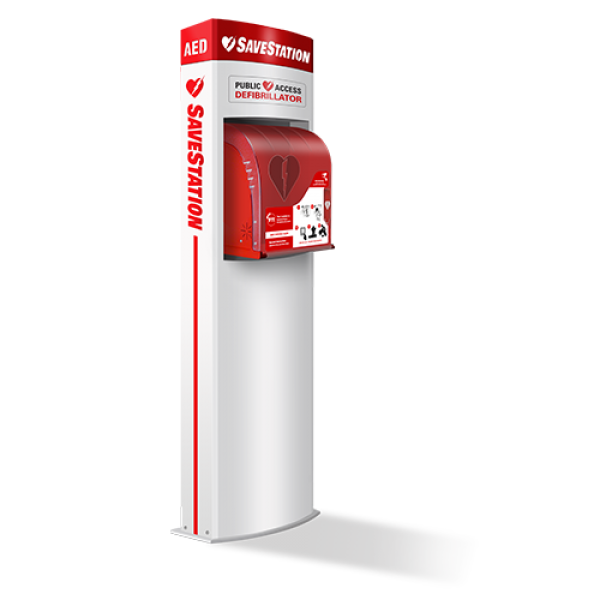 An outdoor SaveStation monitors and reports rescue status, the presence of the AED and surrounding conditions. 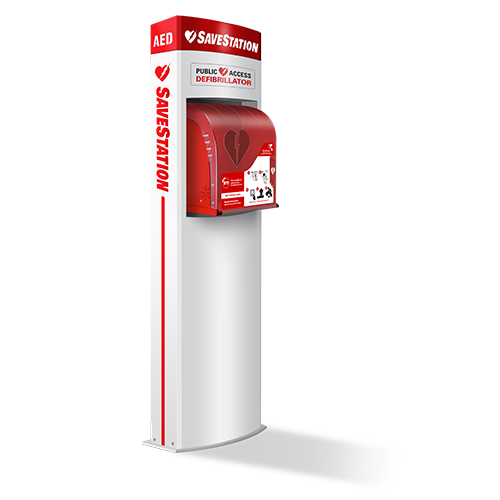 It provides real-time information concerning the use of the AED and ensures the internal cabinet temperature supports the effective operating range of an AED. Operates in extreme hot and cold. 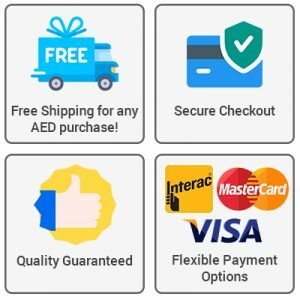 Universal branding for easy recognition.